We Offer a 24 Month, 24,000 Mile Nationwide Warranty! Ralph’s Auto & Truck Service, LLC is proud to serve Amherst, WI drivers. 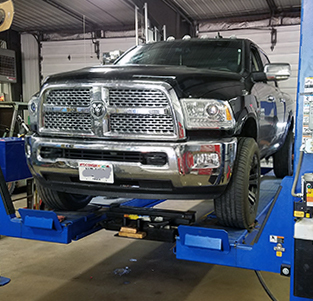 We provide a full scope of maintenance and repair services to all makes and models of vehicle, including light duty trucks and light diesel vehicles. With more than 20 years of experience, our team will make sure your vehicle drives safely and smoothly for years to come. Everyone deserves to get behind the wheel of a vehicle that’s dependable and safe. The key to keeping your ride roadworthy is getting repair and maintenance services from a mechanic in Amherst, WI you can trust. Ralph’s Auto & Truck Service, LLC is proud to be your destination for a full range of auto services—from factory-scheduled maintenance to unforeseen repairs. We’ll make sure your engine and transmission get expert attention, and that your brakes, oil, tires and battery are all inspected and changed at the right time. With our shop on your side, you’ll always have peace of mind about your vehicle. All our techs are ASE Certified and we’re proud to be an Authorized NAPA Auto Care Center. We’re proud members of the Tomorrow River Business Association. We have the ability to work on light duty trucks and light diesel vehicles—something other local shops aren’t able to do. Our business is proud to be family-owned and locally-operated. Our shop is backed by more than two decades of professional, hands-on experience. From oil changes and brake jobs to engine repair and transmission service, let our team provide your vehicle with the maintenance and repair services it needs. Schedule an appointment today. "Great place, great mechanics and Ralph has gone above and beyond to take care of any issues I've had even on short notice I would highly rec..."
"Great service and always helpful."